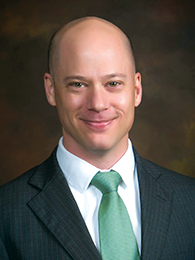 Christopher M. Rush has been named Vice President of Huntsville Hospital Health System’s Physician Network, effective March 5, according to an announcement from Jeff Samz, COO of HH Health System. Rush spent the past ten years with Rush Health Systems, a network of seven hospitals and more than fifty physician practices serving patients in East Central Mississippi and West Central Alabama. Since 2015, Rush served as CFO and President of Corporate Services for the Meridian-based organization. Rush is a 1994 graduate of Wofford College. He later earned a Master of Business Administration and Master of Art’s degrees from American University in Washington, D.C. He and his wife, Mary, have three children.